Diamond Atelier exploded out of nowhere two years ago with one of the cleanest airhead builds we’ve ever seen. 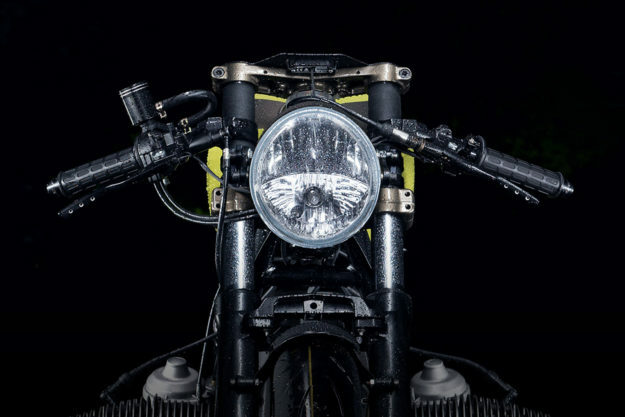 Their R80 took the ‘sano’ look to a new level, and made it onto the cover of Moto Heroes magazine—an extraordinary achievement for a first-time builder. At the time, we wondered if Tom Konecny and Pablo Steigleder would fade away. 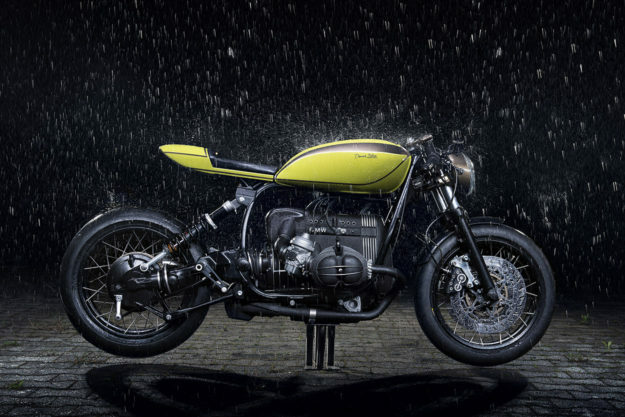 So many builders pour all their ideas into one immaculate bike, and then find the well dry. But the Munich-based duo have kept at it—and just keep getting better. 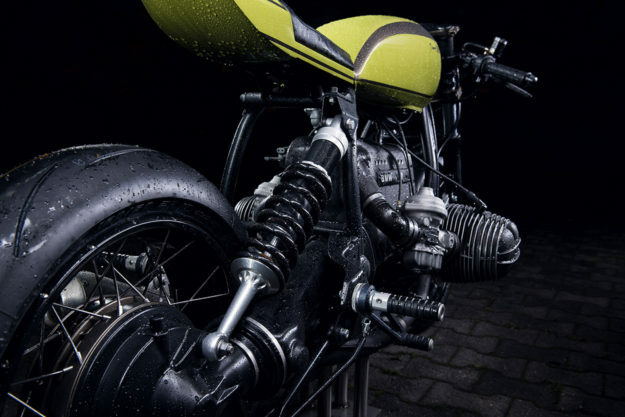 Last year, their third build made it into our Top 10 Custom Motorcycles of 2015. 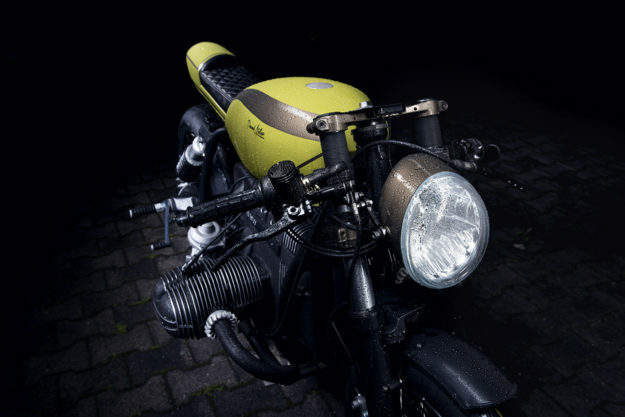 Then a few months ago they turned a Suzuki DR650 into a rakish café racer, and jolted our servers yet again. 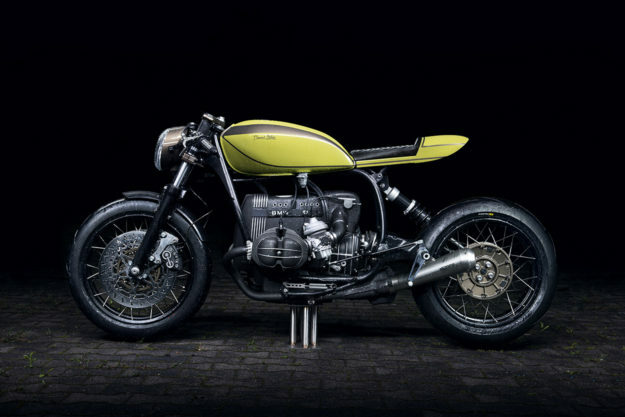 This is their sixth build, and they’re back into the BMWs. Why? 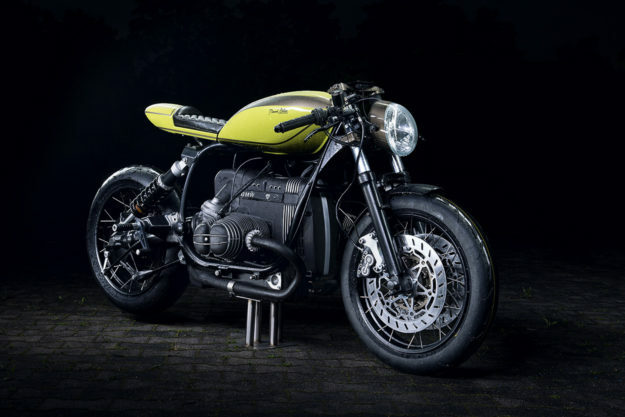 Konecny and Steigleder tore an early 90s R100R to pieces for the brutal-looking DA#3, and know the bike inside out. But this time they’ve given the 980cc Bavarian tourer a more classic vibe, returning to the simple lines of DA#1. 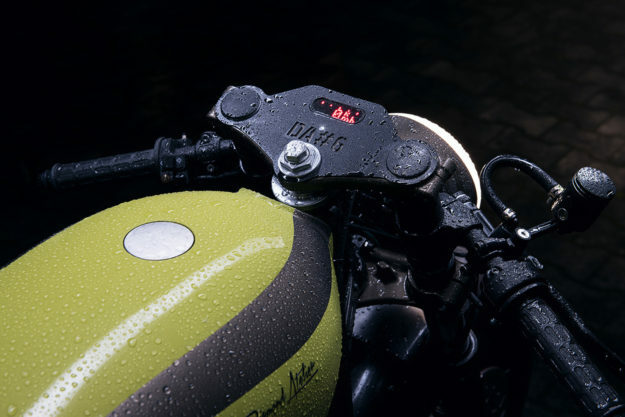 The classic cafe racer lines that flow from front to back are clear and straight, without any distracting shapes. To get the effect, the gas tank and rear frame were lifted up to a higher level. There’s a levitating effect to the back frame, with no visible means of support. “BMWs have struts attached to a lower part of the main frame, to support the seat,” says Konecny. This part will also appear on Diamond Atelier’s upcoming Mark II Series limited production bike. And most importantly, it’s TÜV homologated—meaning that it’s strong and safe, and a legal accessory in Germany. 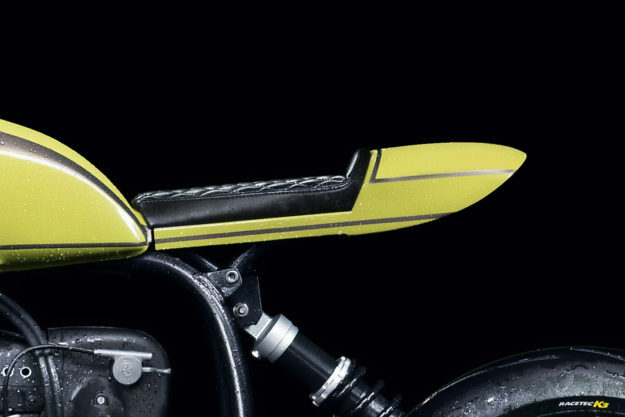 The custom seat and tail unit is made from 0.8mm sheet aluminum. To keep the clean look, the lights and indicators have been moved to the number plate holder, and the cowling is enclosed from the underside. No matter where you look, it’s tidy. With the frame mods, there’s little space under the gas tank to hide the electronics. “But we’ve always hated visible wiring, and especially exposed batteries,” says Konecny. Diamond Atelier bikes are obsessively detailed, and this one is no different. 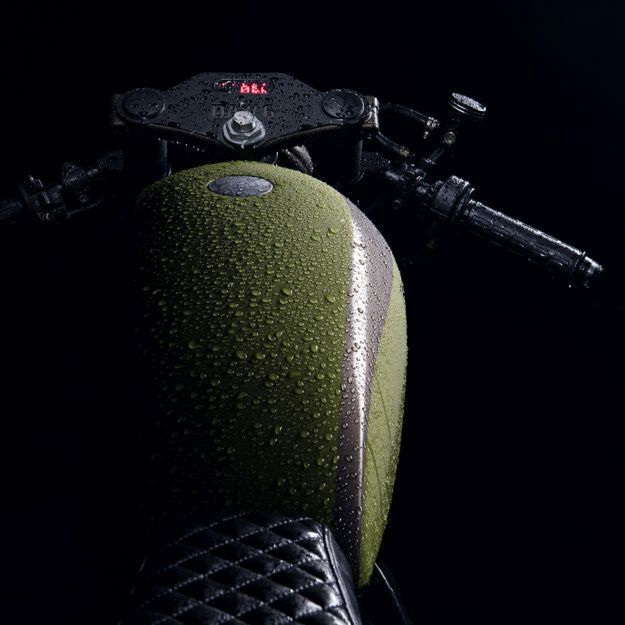 As with all builds from the Munich workshop, there’s a 0.17 carat diamond set into the CNC-machined triple clamp—which also holds a Motogadget speedo. 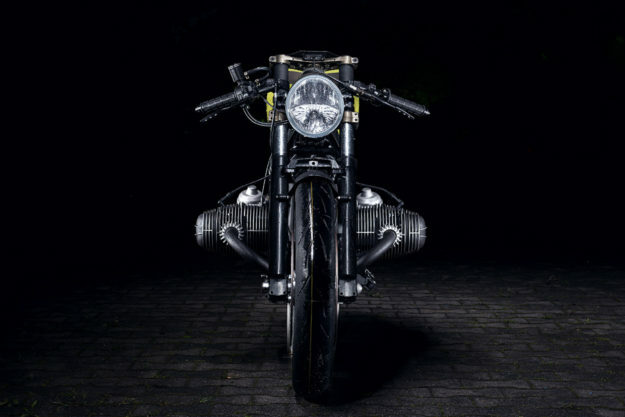 There’s a custom-made pop-up gas cap, and a titanium exhaust system remanufactured using a Spark exhaust as a template. But it’s what you can’t see that impresses the most. 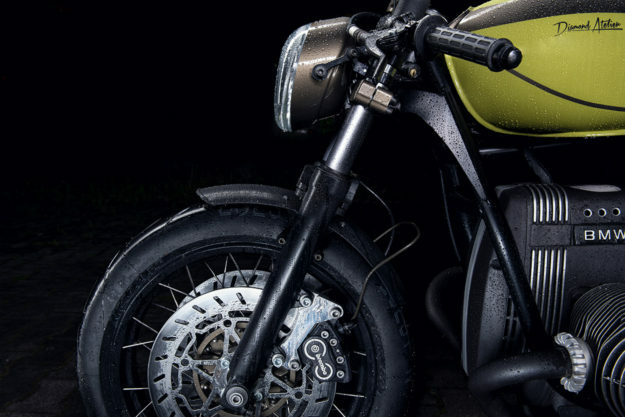 There’s no starter button: pressing the brake lever in a specific sequence triggers the starter. There’s a built-in alarm system that requires no rider input. And there are no messy cables going to the wheel for the speedometer—signals are now taken directly from the gearbox. The next step for Diamond Atelier is to produce OEM-quality parts using 3D scanners, CAD and CNC mills—TÜV homologated parts that will appear on the upcoming Mark II Series. 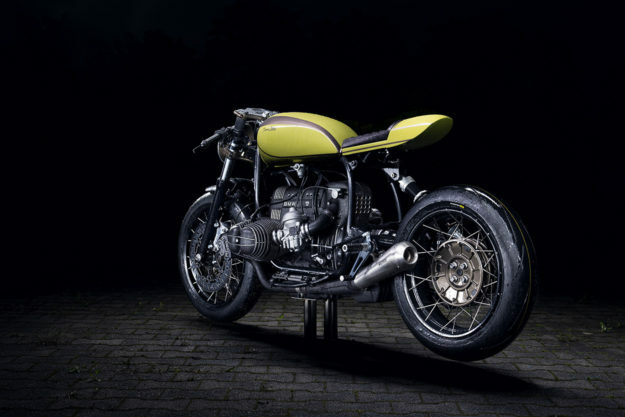 Which is very good news for owners of older BMW airheads. Most amazing of all, Konecny and Steigleder are still in their twenties. “Right now, we’re working seven days a week and hardly ever sleep—but if people enjoy our work, it’s worth it,” they say. We reckon it’s definitely worth it—they’re raising the bar for the custom scene, applying the kind of detailing and precision found at the top end of the custom car scene. If you like what you see too, hit up the Diamond Atelier website and get on the wait list for the new Mark II.